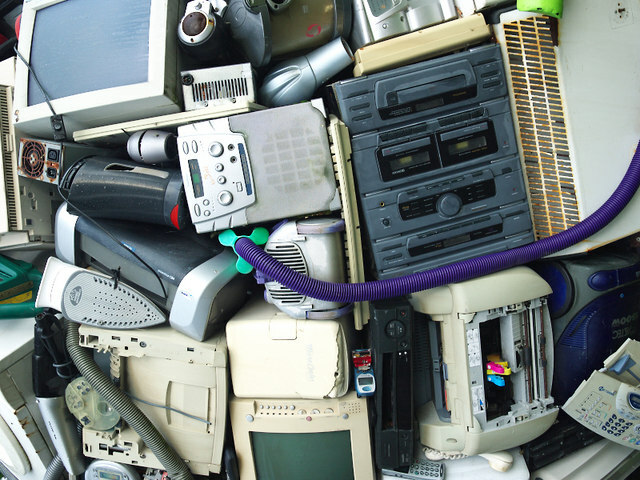 Proper E-Waste Recycling Can Save the Environment! With the fast rate that technology is growing, consumers are purchasing new products at an incredible rate. This means that they are no longer using their older or ‘outdated’ pieces of technology. This can include things such as cell phones to old TVs, printers, or computer screens. These are all examples of E-Waste, or, electronic waste. In the past, E-Waste was simply thrown into landfills and was not properly recycled without a second’s hesitation. However, now we know that this is harmful to the environment and it is vital for all to know how to dispose of e-waste properly. When you recycle or reuse e-waste there are environmental benefits that can help the well being of our earth. For example, cell phones and other older forms of technology such as old computer monitors include small amounts of precious metals, plastic, and copper. All of these are valuable and it requires a lot of money as well as energy to mine and process these materials. When cell phones are recycled however, all of the minerals that are in the phones are recovered, which means that there is less need to mine for these materials. This in turn means that we will be able to conserve our natural resources that humans have been depleting at an alarming rate. In addition, mining creates water and air pollution as well as the emission of greenhouse gases into the environment. According to the US EPA Management of Electronic Waste in the United States from a 2007 study, if all the 100 million cell phones that were thrown out had been properly recycled, the US could have saved enough energy to power roughly 194,000 households with electricity for an entire year. Recycling E-Waste also helps prevent toxic metals such as mercury to seep into the land, which can enter into water supplies. This not only harms plants but the water we drink as well. In order to help the environment, be sure to recycle your e-waste! Next post: Surprising Facts about E-Waste You Might Not know!